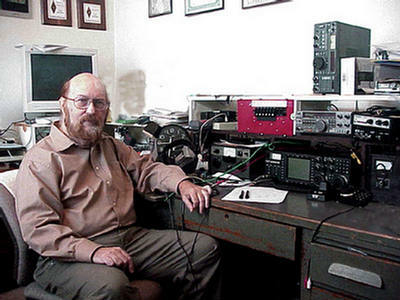 Licensed originally as KN3SWJ in 1962, I have been a technically oriented experimenter until about 1978 when the HF bug bit. In 1979, I upgraded from general thru advanced to extra class. DX was and still is one of my passions in the hobby. I operate CW, Digital, and phone on HF. I operate a 70cm repeater. I have operated from numerous DX locations. I have held callsigns WB4OWN (repeater), K4HPQ, W0RAO,K3SWJ and now KE3D. I have been licensed in the UK (G5EQC) and had CEPT permits to operate in Germany, Netherlands, and Belgium. I have operated from Vietnam, Cambodia, and Thailand. I have operated from many Carribean locations such as VP2MSG, ZF2HE, Haiti, BVI, USVI, Jamaica etc. I really enjoy geography and having real QSOs with DX stations (not just Hello 599 goodbye). I do have 5 band DXCC and over 322 confirmed countries worked. I am an electronic engineer with a master's degree and am a licensed Professional Engineer in Florida. I got a first class FCC phone license in 1963 and a second class radio telegraph license. I currently work in the Semiconductor Industry designing ICs for telephony. I am married to a wonderful lady who is also a ham with with callsign KD4SRD.